Kṛṣṇacandra Dāsa – Śrī Vṛndāvan Dham: In the introduction to Caitanya Caritamrta Chapter 1 Śrīla Prabhupāda explains the difference between a spiritual master and a devotee, which apparently is a very different understanding or point of view than the one which has been acculturated into our ISKCON society by the GBC. Śrīla Prabhupāda states below that the spiritual master [diksa and siksa gurus] comes in two aspects and are both phenomenal manifestations of the ‘absolute truth’ as opposed to ‘phenomenal’ manifestations within the Mahat Tattva. Śrīla Prabhupāda also goes on to explain that we as aspiring Vaisnavas are classified as ‘devotees’ and are as such differentiated from the spiritual master described herein. As we can see Śrīla Prabhupāda sets the scene for understanding not only who the spiritual master is, but also explains how the spiritual master is differentiated in relationship to us who he describes as the ‘devotees’ of the Lord. This understanding has been lost after the GBC rejected it in 1977 in favor of the idea that a spiritual master [dīkṣā/śikṣā] is a devotee who even though is still an ‘apprentice’ can be given the role of a maha bhagavata devotee of the Lord and perform both dīkṣā and śikṣā roles in our ISKCON society – by institutional decree. The whole ideology between what is a dīkṣā and a śikṣā guru has been polluted by the errant ideology of the GBC in 1977 and so today our society is embroiled in dissension between the logical [absolute] truth provided by His Divine Grace AC Bhaktivedanta Swami Prabhupāda and the false doctrine of the ‘apprentice’ dīkṣā/śikṣā guru. The phenomenal manifestation Śrīla Prabhupāda is describing is a sakti avesa avatara, maha bhagavata devotee sent by the sweet will of the Lord or in other words an ‘empowered incarnation’ of the Lord who is endowed with ‘vibhuti’ or empowered by the Lord with transcendental knowledge, divya jñāna, and given the role to preach to mankind and spread the Kṛṣṇa consciousness movement. We can recognize these maha bhagavat devotees of the Lord by their accomplishments in spreading Bhāgavata Dharma to humanity at large. Then there are the jīva baddhas [us] who are embedded in the Mahat Tattva or the Lord’s phenomenal expansive manifestation for whom the Lord in His causeless mercy sends down His expansions in the form of the maha bhagavata devotee who is His ‘phenomenal expansion’ in the kali yuga in order to give us the maha mantra and to teach us how to surrender to the Lord and thus engage in His pure devotional service. Those jīva baddhas who desire to know the nature of the absolute truth and surrender to the Lord are divided into two classes namely the apprentice and the graduate as described above. However, the spiritual master is a separate entity, differentiated from the jīva baddha students and the graduates of this phenomenal world. The spiritual master may be identified by his activities in human society. You have spread the saṅkīrtana movement of Kṛṣṇa consciousness. Therefore it is evident that You have been empowered by Lord Kṛṣṇa. There is no question about it. “In the Dvāpara-yuga one could satisfy Kṛṣṇa or Viṣṇu only by worshiping opulently according to the pāñcarātrikī system, but in the Age of Kali one can satisfy and worship the Supreme Personality of Godhead Hari simply by chanting His holy name.” Śrīla Bhaktisiddhānta Sarasvatī Ṭhākura explains that unless one is directly empowered by the causeless mercy of Kṛṣṇa, one cannot become the spiritual master of the entire world (jagad-guru). One cannot become an ācārya simply by mental speculation. The true ācārya presents Kṛṣṇa to everyone by preaching the holy name of the Lord throughout the world. Thus the conditioned souls, purified by chanting the holy name, are liberated from the blazing fire of material existence. In this way, spiritual benefit grows increasingly full, like the waxing moon in the sky. The true ācārya, the spiritual master of the entire world, must be considered an incarnation of Kṛṣṇa’s mercy. Indeed, he is personally embracing Kṛṣṇa. He is therefore the spiritual master of all the varṇas (brāhmaṇa, kṣatriya, vaiśya and śūdra) and all the āśrāma (brahmacarya, gṛhastha, vānaprastha and sannyāsa). Since he is understood to be the most advanced devotee, he is called paramahaṁsa-ṭhākura. Ṭhākura is a title of honor offered to the paramahaṁsa. Therefore one who acts as an ācārya, directly presenting Lord Kṛṣṇa by spreading His name and fame, is also to be called paramahaṁsa-ṭhākura. By the above description we can very easily see that His Divine Grace AC Bhaktivedanta Swami Prabhupāda is in fact an empowered incarnation of the Lord and is therefore the initiating and instructing spiritual master as described by the teachings of our Vaiṣṇava paramparā who has established this ISKCON society in order to give mankind the Hare Kṛṣṇa Maha Mantra and to teach them the process of rendering unalloyed loving devotional service to the Lord. I offer my respectful obeisances unto the spiritual masters, the devotees of the Lord, the Lord’s incarnations, His plenary portions, His energies and the primeval Lord Himself, Śrī Kṛṣṇa Caitanya. Kṛṣṇadāsa Kavirāja Gosvāmī has composed this Sanskrit verse for the beginning of his book, and now he will explain it in detail. He offers his respectful obeisances to the six principles of the Absolute Truth. Gurūn is plural in number because anyone who gives spiritual instructions based on the revealed scriptures is accepted as a spiritual master. Although others give help in showing the way to beginners, the guru who first initiates one with the mahā-mantra is to be known as the initiator, and the saints who give instructions for progressive advancement in Kṛṣṇa consciousness are called instructing spiritual masters. The initiating and instructing spiritual masters are equal and identical manifestations of Kṛṣṇa, although they have different dealings. Their function is to guide the conditioned souls back home, back to Godhead. Therefore Kṛṣṇadāsa Kavirāja Gosvāmī accepted Nityānanda Prabhu and the six Gosvāmīs in the category of guru. The above verse does not mean that ‘anyone who gives spiritual instructions based on revealed scripture is accepted as a spiritual master’ the spiritual master is described as a maha bhagavata devotee or a phenomenal expansion of the absolute truth Lord Śrī Kṛṣṇa Himself who has manifested to give us the opportunity to, and teach us how to surrender to Lord Śrī Krsna. This ‘anyone’ does not open the role of a spiritual master to just anyone who is a preacher in our ISKCON society or any religious society no matter what title or position they may have held or presently hold. Śrī Guru or our superiors in the paramparā are all phenomenal expansions of Lord Śrī Kṛṣṇa and therefore maha bhagavatas who are not nitya baddha jīvas who are enmeshed in material existence but sakti avesa avataras who have been sent by Lord Śrī Kṛṣṇa to give bhagavata dharma and the Hare Kṛṣṇa Maha Mantra to the fallen conditioned souls of the kali-yuga – which means us. In a very practical sense we already know that this does not mean a devotee who is distributing Śrīla Prabhupāda’s books; who meets a person on the street, gives him a book, teaches him to chant Hare Kṛṣṇa, takes him to the temple, engages him in serving in the Temple and successfully converts him to Kṛṣṇa consciousness. This devotee no matter if he or she has been a devotee for one day or thirty years, knows he is not the spiritual master or initiating spiritual master / instructing spiritual master described above. They are fully aware, or at least they should be, that they are a student of Vaisnavaism who introduces the newcomer to Śrīla Prabhupāda in his vani form and teaches them to take shelter of Śrīla Prabhupāda and his teachings. He or she knows they are students engaged in the service of their superiors [parampara] and act to only introduce and support others to take shelter of the maha bhagavata devotee of the Lord. However, what we ‘incredulously’ are not sure about is whether or not a ‘devotee’, as described above, can automatically become an initiating spiritual master by being appointed as one by the institution. This discrepancy arises when attempting to reconcile/understand the rationale behind such appointments by the GBC especially when there is no support by Vaiṣṇava śāstra or by directions given by His Divine Grace AC Bhaktivedanta Swami Prabhupāda. However the GBC espouses this fabricated system of theirs as if it is supported by śāstra and Śrīla Prabhupāda even though they can only offer hearsay speculative rationale or they have doctored evidence in an attempt to provide support for their bogus conclusion. The supporting evidence is the ‘alleged’ taped recording of the so called July 28th conversation which is so disjointed and nonsensical that it defies logic how they can submit it as evidence. However notwithstanding such spurious hearsay evidence and false reasoning they tenaciously push ahead with this false doctrine as if their intention is to purposefully ruin our great Vaiṣṇava society by infecting it with rascal apprentices illegally acting as dīkṣā and śikṣā gurus. Nowhere is it given that one must approach an officially appointed spiritual master or a un-bona fide spiritual master, it says a bona fide spiritual master or in other words a maha bhagavata devotee of the Lord as explained above. 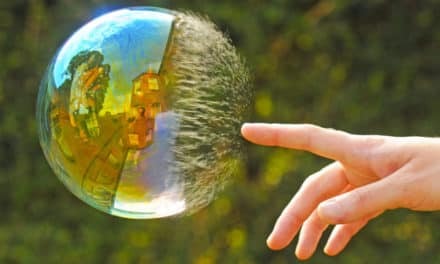 The GBC and the Rubber Stamped Gurus on the other hand artificially/illegally promote apprentice/students into positions of initiating/instructing spiritual masters and attempt to pass them off to the unsuspecting newcomer or promote them as such to their existing disciples as if a “failed” apprentice can deliver other students from the clutches of material life. Which we all know is preposterous!! Let us not mistake the fact that the apprentice Rubber Stamped Gurus of ISKCON have never demonstrated, by their recidivist activities, that they have passed the requirement in order to graduate past even the level of Bhagavad Gītā what to speak of being paramahamsa maha bhagavatas who are fully conversant with Śrīmad Bhāgavatam and Caitanya Caritamrta and thus passed the brahmā bhuta stage of realization and are in bhava or prema level of consciousness. In actual fact having rejected Śrīla Prabhupāda they have never experienced true sādhu sanga so there is, as evidenced by the bad behavior, no question of any of them even attaining the anartha nvritti stage of purification. When I was studying Psychology it was drummed into us that we should never attempt to help others until we have completed our academic studies and even then only via an internship under the guidance of qualified and experienced counselors. Of course some did not listen to this advice and ended up with disastrous results, about which they of course never informed the institution or our lecturers. The institution and our lecturers being highly skilled professionals would never condone or allow an unqualified student to practice. The GBC allowing students to perform the role of a bona fide spiritual master is outrageous in the very least. The results are clearly witnessed with the fall down of Prabhavisnu Dāsa and the disgraceful behavior of Indradyumna Swami. The role of spiritual master dīkṣā/śikṣā guru belongs to His Divine Grace AC Bhaktivedanta Swami Prabhupāda as the maha bhagavat devotee who has established the process and has the qualifications and role and function given to him by Śrī Kṛṣṇa Himself and given to mankind in the form of His Divine Grace AC Bhaktivedanta Swami Prabhupāda’s books, literature and lectures. Here Śrīla Prabhupāda explains that it is the spiritual master in the ‘true sense’ of the term who is authorized to deliver the disciple. We must not misunderstand these terms to think that the aspiring Vaiṣṇava or the ‘devotee’ of the Lord is the spiritual master being discussed. We are considered the disciples or the ‘devotees’ or a nitya badha jīva who has surrendered or accepted dīkṣā and śikṣā from the maha bhagavata devotee of the Lord. Śrīla Prabhupāda makes it very clear in the opening chapter of the Caitanya Caritamrta that there are two basic levels of ‘devotees’ the ‘apprentice’ and the ‘graduate’ devotee. Whether we like it or not we are ‘devotees’ in the sense that we are not maha bhagavatas who are actual phenomenal expansions of Śrī Kṛṣṇa. We are nitya baddha devotees who are aspiring to become Vaiṣṇava devotees of the Lord and we are either apprentices or we are graduates. To graduate and become a Vaiṣṇava devotee of the Lord is not such an easy thing as we can see. How many of the institutionally appointed or self appointed Vaiṣṇavas of this world have been exposed for nefarious activities most unbecoming of an aspiring Vaiṣṇava but are still considered Vaiṣṇavas by the institution and their disciples. No matter how serious we are or how much someone may hanker to be considered an initiating and instructing spiritual master, in the definition of the term clearly explained by Śrīla Prabhupāda above – we are not. No matter how we may childishly believe that our karmi name is similar to some associate of the Lord so that makes us an associate of the Lord too, or we have so many followers or we can give a good class or kīrtan or how many dreams we have had or whether we have read and reread all of Śrīla Prabhupāda’s books and literature – it still does not make us a maha bhagavata associate of the Lord. If we are thinking like this or if we have been fooled into believing our so called guru is an associate of the Lord then we are either cheating ourselves or others. There is no escaping this fact. It is simply a matter of what you want out of your life. 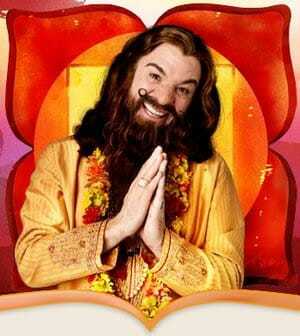 If you have had the opportunity to study Śrīla Prabhupāda’s books and teachings with a mind and intellect that has not been sullied by the false doctrine of the Rubber Stamped Guru you have a chance to understand what Śrīla Prabhupāda has taught us, however if you have accepted a third or fourth class devotee or any ‘apprentice’ as your dīkṣā guru then unfortunately that is as far as you will get in your spiritual life. When this third or fourth class devotee who is masquerading as a maha bhagavata devotee of the Lord is found going to prostitutes in Bangkok or taking photos of half naked little girls then you have no one but yourself to blame. The idea of an apprentice is given by Śrīla Prabhupāda to help us understand not only our position but also the position of others. The rank n file devotee goes out on the street and hands out pamphlets for the Sunday Feast or distributes Śrīla Prabhupāda’s books or teaches others to chant Hare Kṛṣṇa – knows they are not the ‘doer’ in this transaction. They simply follow the instructions and the system given by Śrīla Prabhupāda and the choice is left to the person interested in pursuing Kṛṣṇa consciousness whether they accept or reject Śrīla Prabhupāda’s teachings and instructions. Śrīla Prabhupāda instructs the newcomer through his books and literatures as he also does for the more advanced student/apprentice as well as the graduate. As we study and discuss Śrīla Prabhupāda’s teachings we begin to change and grow in our Kṛṣṇa consciousness and our graduation day is the day that when we leave this body we attain our siddha deha or spiritual body and end the cycle of repeated birth and death. There is seldom any misunderstanding with the general devotee who is the maha bhagavat devotee and who they are, in relationship to him. They use the system taught by Śrīla Prabhupāda, they use the teachings given to them by Śrīla Prabhupāda, and they distribute books and literature authored by Śrīla Prabhupāda while they act to introduce others to Śrīla Prabhupāda and the Kṛṣṇa conscious philosophy. In this way they are siksa gurus / spiritual masters / mentors or teachers etc, but they are still apprentices. The devotees come in all shapes and sizes and all levels of skills, realization and enthusiasm but they are all still either apprentices or graduates of the system prescribed by the maha bhagavat devotee of the Lord, His Divine Grace AC Bhaktivedanta Swami Prabhupāda. The problems arise when devotees falsely imagine or consider themselves to be empowered incarnations, maha bhagavats, within the system already established by the maha bhagavat devotee of the Lord. These thoughts may arise in the minds of apprentices who imagine themselves to be qualified and begin to practice their trade before they have completed their course of study – which is of course encouraged by the GBC’s bogus Rubber Stamped Guru System. The bona fide graduate of Śrīla Prabhupāda’s system comes to the platform of pure devotional service, by the acceptance of the fact that their only duty is to serve Lord Śrī Kṛṣṇa, His Divine Representative the Maha Bhagavata and the aspiring Vaiṣṇava devotees of the Lord. Prabhupāda: We have got everything clearly stated, that we observe these regulative principle, chant, minimum sixteen rounds, and act as far as possible for the service of the Lord. Where is the difficulty? Pṛthu-putra: Maybe the realization may not be there. Prabhupāda: What is that realization? This is the prescribed duty. So there is no question of realization. You must do it. Pṛthu-putra: Yes. They must and they do also. They also do it. 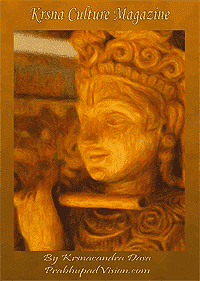 Prabhupāda: Then where is the doubt? Let me go on with my duty. That’s all. Why I shall be disturbed by so many things? Let me see whether I am discharging my duties properly. That’s all. Śrīla Prabhupāda above explains how our only ‘real’ duty is to do our duty as prescribed by Śrīla Prabhupāda himself which is to strictly follow his instructions and ultimately to engage in pure devotional service of Lord Śrī Kṛṣṇa and nothing else. First listen to Śrīla Prabhupāda by obeying his instructions then you may consider yourself an aspiring Vaiṣṇava devotee of the Lord. We simply have to mature in our understanding of what Śrīla Prabhupāda is actually teaching us. The paramparā is not an uninterrupted flow of guru disciple guru disciple process it is a line of authorized maha bhagavata Vaiṣṇava devotees / spiritual masters who either give dīkṣā and/or śikṣā to anyone inquiring into the nature of the absolute truth and their manifestation is due to the mercy of the Lord Himself. We may think we have graduated because we remember so many pastimes or slokas and can give a good class or we have read the Bhagavad Gītā, Śrīmad Bhāgavatam and the Caitanya Caritamrta but have we really? Can we compete at any level with Śrīla Prabhupāda in composing the purports to the Bhagavad Gītā, Śrīmad Bhāgavatam or the Caitanya Caritamrta if we were given the translations only of our Vaiṣṇava texts? Of course not! 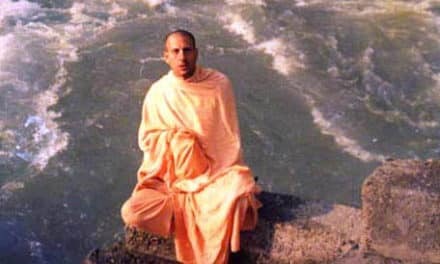 This is not within the realm of our duty or our adhikāra, this is the role of the maha bhagavat devotee of the caliber of His Divine Grace AC Bhaktivedanta Swami Prabhupāda to give us this knowledge, establish the ISKCON society where his teachings and instructions teach us how to implement Bhāgavata Dharma in our lives. We simply have to follow the instructions Śrīla Prabhupāda has given us and by doing so we are doing our duty to serve the devotees of the Lord and the Lord Himself. The lecturer requests the student to participate in various activities, as Śrīla Prabhupāda requests us to participate by following his instructions and performing the duties that he has prescribed for us, and the lecturer examines how strictly the student is following what they have been instructed. Once the student has completed all the necessary requirements of the curriculum that is offered by the institution he is certified. The institution that certifies students who have not completed the course of study, for whatever reason, is never considered to be a high class professional institution but a low class fraudulent institution. Although the GBC has tried unsuccessfully to offer rational śāstric based support for their concoction of the ‘paramparā being continued by consecutive apprentice ‘devotees’ they are continually trying to fabricate ways in which they can fool the neophyte as evidence by their latest attempt to justify themselves in Resolution 305 of the 2012 GBC meetings, which is nothing but an attempt at damage control. However it would be an interesting exercise to see what the GBC can come up with that is based on śāstra and Śrīla Prabhupāda’s instructions and not some farfetched fabrication/interpretative concoction that they have given to date! The recidivist rate of the recalcitrant Sannyāsī Gurus of FISKCON is evidence of the stark fact that an apprentice devotee cannot fill the shoes of a maha bhagavata spiritual master dīkṣā/śikṣā guru. How much more evidence is required to present to the dumbed down rank n file devotee before they wake up from the fact that they have been cheated by the GBC and their rascal illegal gurus? NextIs that Jayapataka Mahārāja seated on a Lotus Flower?